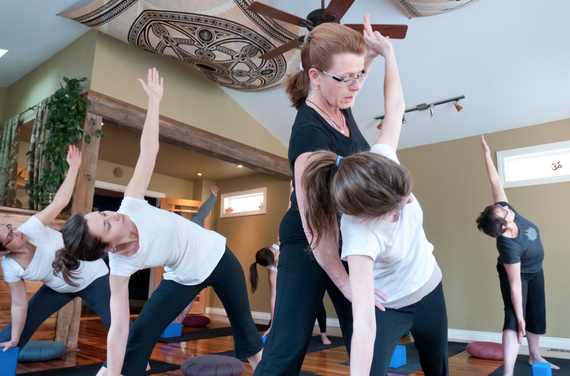 Image courtesy of Stephen Wild: Perri van Rossem, founder of Living Yoga Studios, leads a studio class. 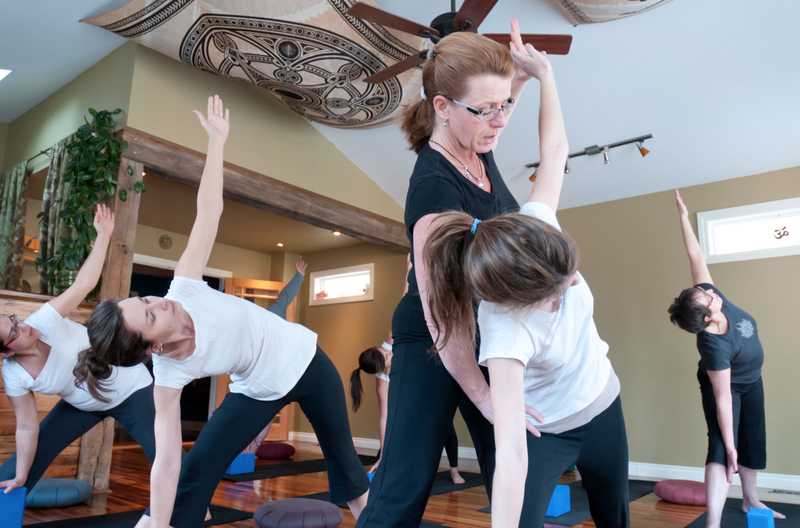 This is an interview with Perri van Rossem, who began teaching yoga as a volunteer in 2005 at Collins Bay Medium Security Institution in Kingston, Ontario; she has been teaching there ever since. In addition, she coordinates yoga programs being offered in three other institutions. Says Perri, "I am trying to build a greater profile for this work in our community of yoga teachers. It is not an easy sell, I don't mind telling you." The greatest challenge to providing quality learning experiences is consistency in programming. Consistency in teaching, as well as finding teachers with the level of experience and willingness to share with this community, is not an easy thing to pull together. If the programs could be offered as a part of CSC core programming -- in other words, available during the day and not considered extra-curricular -- it may be easier to recruit teachers who are usually teaching in the evenings and on weekends. My advice is in the form of benefits of this work that I experience, in the hope that others will take up the work: the rewards I experience by serving this population are beyond description. From my perspective this is a safe environment whose participants are among the most grateful, enthusiastic, and eager students I have ever taught. When a student says to me "this is the best part of my week, I look forward to being here so much, it helps me more than anything else that I do," I am humbled, my heart expands, and I know I am making a difference.